Earlier this week Native Instruments announced yet another addition to their Kontrol lineup. Stripping down the DJ setup into its bare necessities, the Traktor Kontrol Z1 might just be their most minimal MIDI controller to date. A slim all-in-one two channel mixer with 3-band EQ, volume, filter, crossfade, and cue controls for two audio channels. 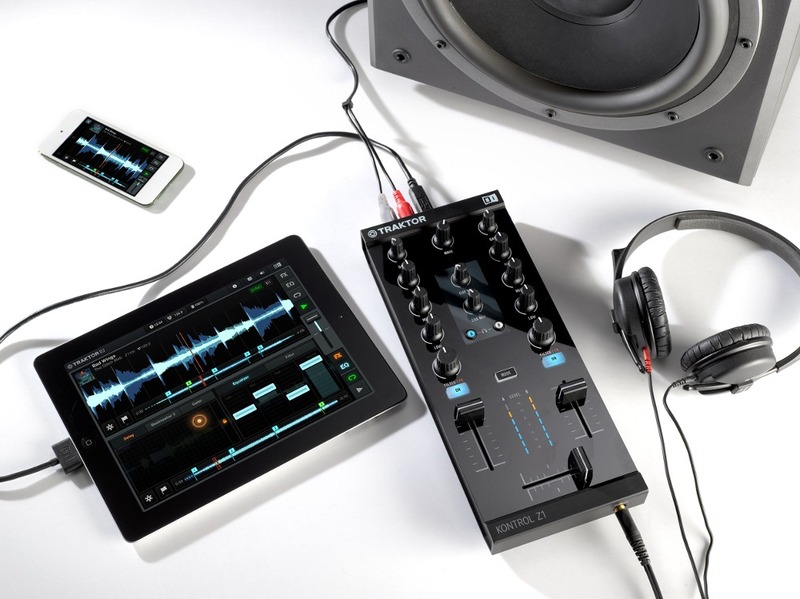 It sports a built-in 24-bit soundcard to play out at club levels, and functions with their Traktor DJ App for iPads and iPhones, not to forget Mac and PC. Now take a step back and realize how incredible it is for Native Instruments to put everything you need to get you off your feet and DJing in such a highly portable and compact package. Hopefully we'll see the Z1 inspire many music fans to take up mixing themselves when they eye out its simplicity. And for the seasoned spinner, intimate after-partys and informal one-offs make this a must have for anyone looking to provide a playlist for any spur of the moment. Release date is TBD, but we do know that the Kontrol Z1 will be available at retailers worldwide and at the NI Online Shop for $199. TRAKTOR KONTROL Z1 is also the smallest professional mixer for TRAKTOR PRO 2 users to date – perfect for intimate after-party gigs or any situation that requires both compact size and professional performance features. Thanks to plug-and-play connectivity with TRAKTOR and the included TRAKTOR LE software, DJs can immediately start mixing on their Mac or PC system. When combined with TRAKTOR KONTROL X1 and F1 controllers, TRAKTOR KONTROL Z1 becomes part of a powerful, professional DJ setup including full control of TRAKTOR's Remix Decks and transport functionality.